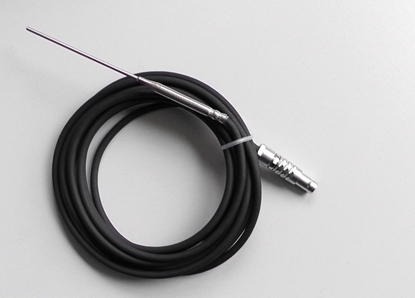 Replacement temperature probe for Witrox 1 and Witrox 4 instruments with a 5 m long shielded cable. The Pt1000 sensor has a tolerance of 1/3 of Class B sensor giving a very high accuracy of +/- 0.15°C. 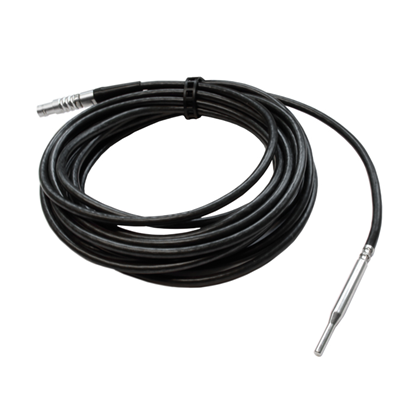 This Pt 100 temperature probe is robustly constructed with a stainless steel protection sheath, moulded mini handle with built in stress relief and complete with 3 Metre of shielded cable and connector for our AMP, REG and DAQ instruments. 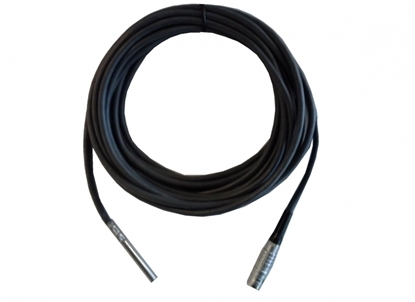 Replacement Pt1000 temperature sensor for Fibox 3 and Microx TX3 instruments with a 5 m long shielded cable. 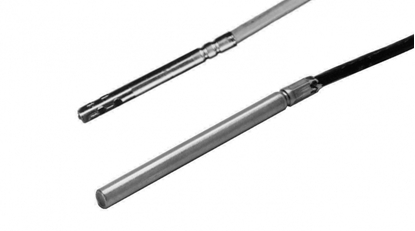 The Pt100 temperature sensor can be connected to the OXY-1 series oxygen meters. It can be used to determine the temperature during experiments and for real-time temperature compensation of oxygen measurements.